The normal assumption in secular culture is that the more heavenly minded a person is, the less earthly good they are. People assume that spiritual people are detached, impractical, and increasingly out of step with real life and the needs of the real world. They have always thought that, but have always been wrong. Jesus brought the purposes of heaven to earth, and in Colossians we learn why and how being of real earthly good requires us to be more heavenly minded, not less. 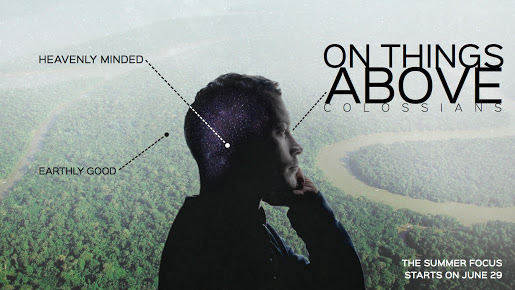 Join us on Sunday mornings starting June 29 going through Colossians, focusing On Things Above. In addition to understanding Colossians, as our pastors, Nic and Lloyd, preach, they will model how to read an epistle (the letters in the New Testament) on your own.